FDA allows doctors to prescribe drugs for off-label uses but the agency never saw Zofran causing birth defects when used as an off-label drug for women suffering severe morning sickness. Zofran is a product of GlaxoSmithKline (GSK) that was developed for the treatment of severe vomiting and nausea and approved by the U.S. Food and Drug Administration (FDA) in 1991. While this drug became the most prescribed treatment for pregnant women, it was never approved for that use. Zofran was originally approved as an effective medication for patients suffering from severe vomiting and nausea related to anesthesia medications, radiation, chemotherapy, and surgery. 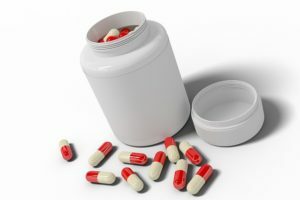 It’s not illegal for doctors to prescribe drugs for off-label uses if they believe that it will have a positive effect. However, it is illegal for drug companies to market the off-label uses of their products. And since the FDA never provided approval for this type of use, GlaxoSmithKline decided to offer doctors incentives to prescribe the drug for morning sickness. The company saw an opportunity in marketing their medication to pregnant mothers who needed a solution for their severe morning sickness. About a million women have taken Zofran as an off-label treatment. Deformed organs, such as the kidneys, lungs, or liver. When GSK was performing clinical trials prior to the approval of Zofran, it was reported that there were indications that the drug could be harmful to unborn babies. Animal studies showed that the drug could get into the placenta. This results in an increased risk of premature birth, miscarriage, the incomplete growth of bones, and fetal death.